Is the world’s fascination with the possibility of UFOs and more a religion or a natural intuitive sense that life is “out there” based on current scientific research and recent planet-search discoveries? No one could have foreseen the extent to which the idea of UFOs would pervade popular culture prior to the publication in 1897 of H.G. Wells War of the Worlds (see video below) and Kurd Lasswitz’s On Two Planets –both the vanguard of an enormous number of treatments of the alien theme in science fiction. The modern UFO era and the birth of the extraterrestrial hypothesis began on June 24,1947, when Kenneth Arnold, flying his private plane near Mount Rainier in Washington, reported nine disk-shaped objects flying in formation at speeds he estimated to be over 1,000 miles per hour. 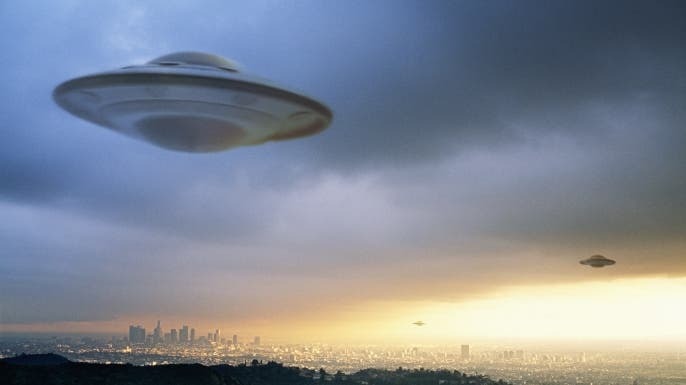 The alien hypothesis first officially emerged in 1948 with the Air Force "Project Sign," which concluded that UFOs were of extraterrestrial origin. The report was later declassified and burned by General Hoyt Vandenburg. If UFOs exist, how do they traverse the universe? According to conventional wisdom, one can only travel through time in a linear fashion at no faster than the speed of light. At that rate, it would take millions of years to traverse the universe, and who has time for that? If there’s a way to manipulate space and time curvatures, then we have all the time we need. World renowned experts from physicist Sir Martin Rees of Cambridge University to astrobiologist Davies have asked that if we were to encounter alien technology far superior to our own, would we even realize what it was. A technology a million or more years in advance of ours would appear miraculous. In fact, Davies suggests in Eerie Silence, that advanced technology might not even be made of matter. That it might have no fixed size or shape; have no well-defined boundaries. Is dynamical on all scales of space and time. Or, conversely, does not appear to do anything at all that we can discern. Does not consist of discrete, separate things; but rather it is a system, or a subtle higher-level correlation of things. Hynek served as scientific advisor to UFO studies undertaken by the U.S. Air Force under three consecutive projects: Project Sign , Project Grudge, and Project Blue Book. He later developed the "Close Encounter" classification system. 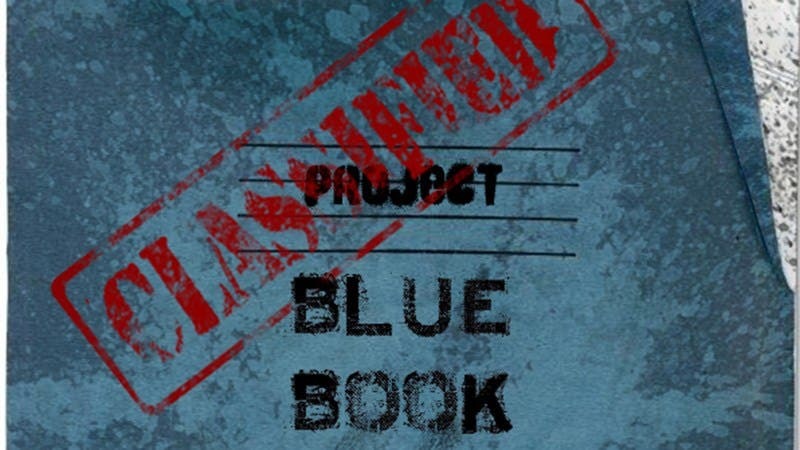 Project Blue Book was the third and longest-lived of three consecutive UFO investigations conducted by the Air Force, officially lasting from 1952 through 1969. It was preceded by Project Sign (1947–1949) and Project Grudge (1949–1952), and Hynek, already established as a brilliant astronomer working the Harvard-Smithsonian Center for Astrophysics during its formative years, was recruited as a scientific advisor on all three. What makes Hynek so interesting is that his outlook gradually from being a skeptic about the existence and origin of UFOs to eventually becoming convinced that the steady stream of sightings and unexplained phenomena could not be explained away as things like weather balloons, satellites or swamp gas. By the time Blue Book came into existence, Hynek — while careful not to say definitively that UFOs did exist and were of extra-terrestrial origin — was arguing that the field required serious study, a position that put him at odds with many fellow scientists and the U.S. military. Hynek grew increasingly disenchanted with Blue Book during his tenure on the investigation, criticizing the Air Force's research methods and general indifference to the subject. Blue Book was shut down in 1969 having officially determined that UFOs were not a threat to national security and were not of extra-terrestrial origin — a conclusion that Hynek hinted was already pre-ordained.